Every time I see myself in a bold color I’m reminded of how great color looks on me. This fuschia top and lip color has me excited about spring and goes perfectly with the springy coiled hair. It’s actually wash day, but I decided to stretch one more day out of this hairstyle. It’s been one year and four months since I stopped relaxing my hair (more on that here)and I couldn’t be more happy with my progress. This is my third time going natural and I am so glad I did. What was initially a hard transition got easier each time until finally last October I made the transition and never looked back. The more I manage my hair, the more I learn about what it takes for it to look it’s best. This twist out was done on a two plus week old blow out. I’ve been retwisting it at night and taking it down when needed. Just to clarify, I do not take the twist down everyday because some days I wear my hair wrapped. So since doing this style, I’ve worn it down about nine days and wrapped about seven. In this video, you’ll see the pattern I use to achieve The Perfect Springy Twist Out in 4C Hair, plus how I style the take down to et this looks. I’ll be sharing more videos on wellness, self-care, balance and family on my channel. If you want to keep up with the tips, make sure you first subscribe to my newsletter for the emails and then to my channel for the videos. 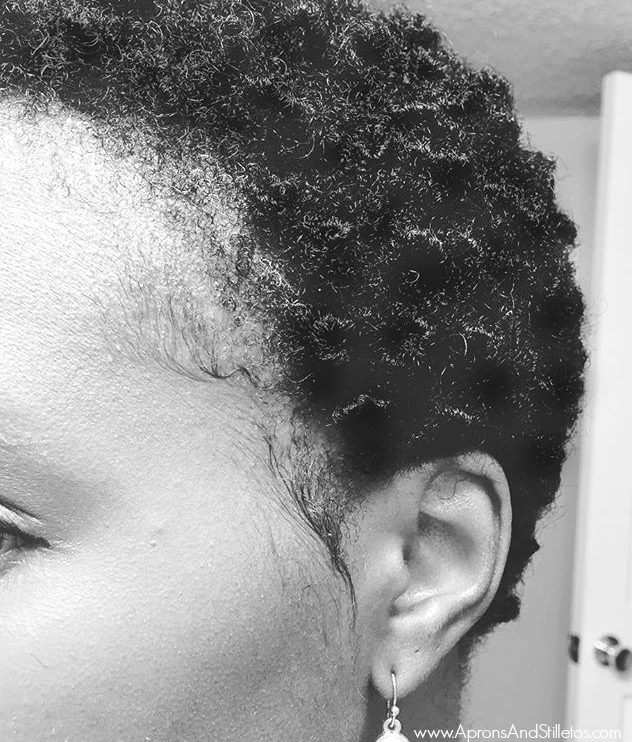 Now that you see where I am on my natural hair journey, click here to see where I was a year ago. You are gorgeous! And yes you should be wearing bold colors all the time because they look amazing on you! You have a beautiful hair! That color looks really good on you, very refreshing. Such a cute look and you look fabulous in pink. Sharing this post with my friend–I think she’ll like it! Your hair looks gorgeous! I have always wanted a good curl to my hair but never been able to achieve it myself! WOW! The springy curls absolutely do it! A perfect compliment. I think your hair looks fantastic. The springy curls frame your face beautifully. Talk about hair envy! Girl, I wish my hair was doing this right now. I really love what you are doing with it. You look totally cute! I think it looks amazing on you! It’s definitely perfect for the weather and I just like how it looks. It feels great when you stop doing treatments on your hair and just let it grow naturally. Bright colors during spring and summer is one of my favorite things about the warmer weather too. I love the springy curls – so cute!! Love my curls. I’m natural too. Not sure if 4c or what but I love being able to wear my hair as it is without always applying heat or heavy chemicals. It’s so nice to get up and go rather than have to do this and do that to style my hair. Don’t you love it? I really like that springy twist! I can’t go longer than one day without washing my hair, and if I could stop putting so much product into it, that would be great too! I really need to read more about trying to manage my own hair. I always wonder how to maintain that awesome hairstyle. My hair is stick straight and I have to find ways to add volume to it. I love how you matched your lip color and your blouse, and the accessories you chose were perfect! What a fashion inspiration! I’m not familar with a springy twist but having short hair, I don’t have a lot of options. Everyday shampooing is almost the norm for me or I have that bed head look too bad. Very pretty pic. Not knowing anything about taking care of black hair this was interesting. I think it looks awesomely. Love your style. I don’t know what 4c hair is but this style looks great on you. Pinks are one of my two favorite colors, that fuschia looks great on your. I love the springy twist and wish I could go longer than two days without washing/blowing out my hair. That color looks good on you too. It’s one of my favorite spring/summer colors.